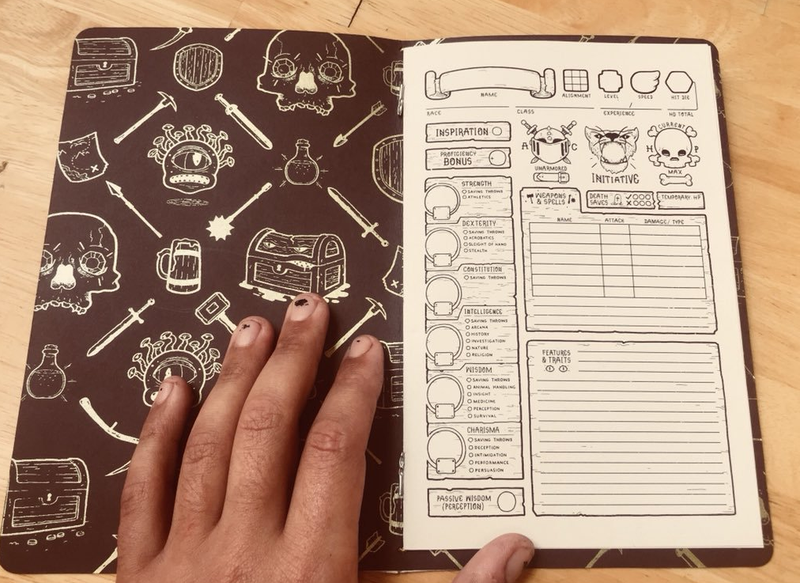 Cartoonist and self-described Dungeons & Dragons nerd Luke Howard hand-crafted a convincing argument in favor of pen-and-paper role-playing: custom character sheets for D&D. All of D&D’s 5th edition’s essential information is on there, plus a quick reference guide. The booklets are bound with an elastic cord, so if your character dies, you can add new sheets and start again. Howard also offers a digital version.